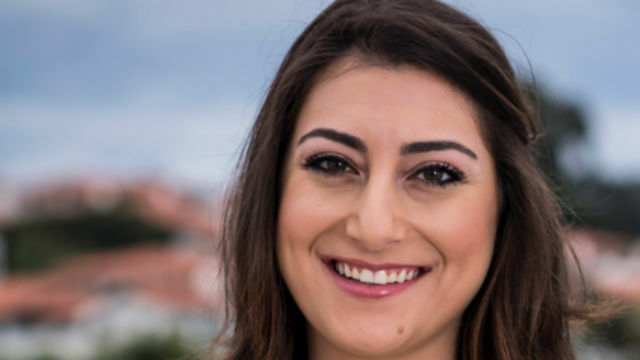 Congressional candidate Sara Jacobs told supporters Wednesday morning that she remains hopeful of a being in a runoff as “tens of thousands” of mail ballots remain to be counted in San Diego and Orange counties. According to figures released Wednesday evening by the California Secretary of State’s office, Republican Diane Harkey, chair of the Board of Equalization, led the field with 25.6 percent, while environmental attorney Mike Levin was second with 17.2 percent and Jacobs a close third at 15.4 percent. Levin and Jacobs were separated by nearly 2,000 votes, but San Diego County had 220,000 mail ballots outstanding on Wednesday afternoon, and Orange County had 181,000. Those numbers apply to the counties as a whole. “We’re going to fill up the coffee pot, strap in, and wait for these votes to be counted, because I believe it’s important for every voice to be heard — that’s what the people of the 49th District deserve,” said Jacobs, a former Obama Administration official. However, Levin told suppers he has “a substantial lead in the race” and he was ready to declare victory. The winner of the runoff in the 49th District will succeed Rep. Darrell Issa, who announced his retirement from Congress earlier this year. Issa endorsed Harkey to succeed him. Since both Levin and Jacobs are Democrats, the possibility remains that Republicans will lose this district in Congress.